- The Lord has a task and a purpose with our lives. - He will be faithful to you right up to the end. - He will not drop you or leave you until His purposes have come to fulfillment. 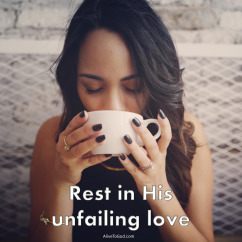 - Rest in His unfailing love and support for you. 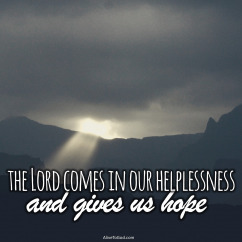 Prayer: Lord, I declare that You are my helper and I will trust and not be afraid. Amen. - The Lord was with Moses and he saw the most amazing things happen. 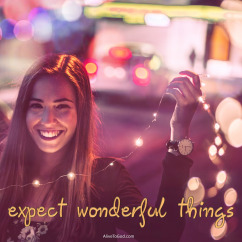 - The Lord is with you and because of that you too can expect wonderful things. - Don’t doubt that He is with you but rather believe that He is with you. - When the Lord is with us, miracles can take place before our eyes. - These are very reassuring words that we can take to heart. - You can be strong and courageous because the Lord is with you. 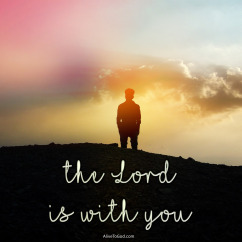 - You don’t need to fear or be afraid because the Lord is with you. - You can do the work that God has for you because He will help you. - When the Lord is with us, we are set up for success. - We cannot do it on our own, we need His hand in our daily lives. - The Lord wants to come alongside you and cause you to prosper in all your ways. 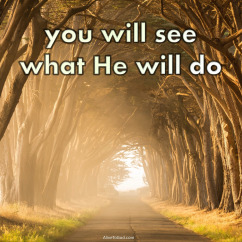 - Embrace Him in your life and you will see what He will do! 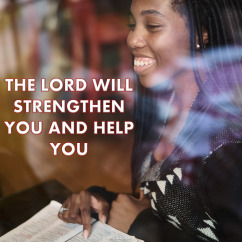 Prayer: Lord, the fact that You are with me give me the strength I need. I open my life up to You and give You the right of way to lead and guide me. Amen. - We serve a good, good Father. - He is good because of who He is and because of what He does. 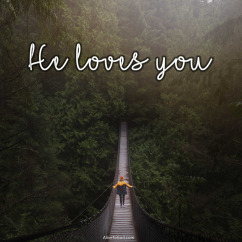 - He loves you with an everlasting and enduring love. - He promises to be faithful to you and to all generations. - What a joy it is to know that we belong to God. - We are His, and He takes care of what belongs to Him. - He made us and He knows exactly how we are wired and put together. 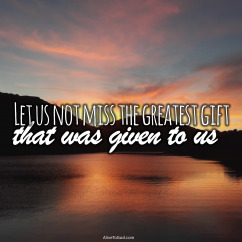 - As we recognize this fact, we can rest secure, knowing that He will provide. - We all need wisdom and understanding from time to time. 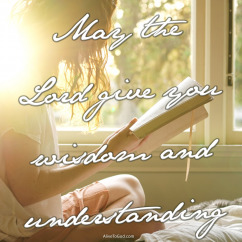 - The great joy is that the Lord wants to give us wisdom and understanding. - We are told that we can ask for His wisdom and He will give it liberally. - Remember, the Lord is the source of all wisdom and He wants to lead you. - The Lord always has the final say, but we must do our part. 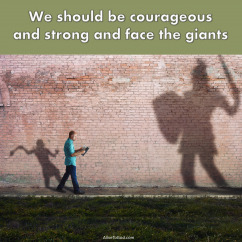 - We should be courageous and strong and face the giants. - At the same time we should have full confidence in our great God. - So let’s be strong and fight the good fight, for the Lord Himself is with us. - What more could we need than the strength and the help of the Lord. - He will come and strengthen you from within so that you can face tomorrow. - If He is your strength, what and who do you need to fear? - He promises to help you out of all your afflictions and temptations.